This is a commission I did this summer. The company is named after a Divinity from the Basque mithology called Mirokutana. This Lord of the Forest was actually believed to reside in the very same valley I live in: Oiartzun. Thus, the scenery that I used to create the animation is a real very well known granite mountain called Aiako Harria (The Stone of Aia), which is also the first mountain to have emerged form the sea in all the Basque Country millions of years ago. I really enjoyed doing this work since it had an added emotional value for me. I used Adobe Photoshop to create most of the layers, Adobe Premiere to work with the sound and After Effects to put it all together. 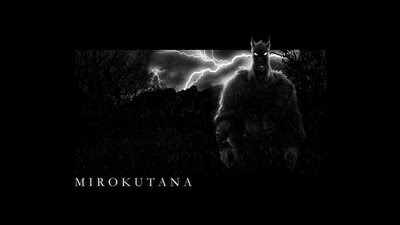 The creature (Mirokutana) was hand-drawn and shaded using Adobe Photoshop. That looks awesome! I'm afraid I don't know anything about uploading good quality videos, but I'd love to see it sometime. Bring it to school! Vimeo usually gives the best quality, and you can embed them in blogger too. It's still flv, but cosiderably better than google video or youtube. Thanks so much for the advice Stephen! It is quite better than youtube, blogger,... How are you doing? It's been a while since Gobelins.